Mike Keleher retired as a U.S. federal agent after 30 years with NCIS, and has been a firearms instructor for over 25 of those years teaching law enforcement and civilian courses in pistol, carbine, sub machine gun and shotgun. Mike Keleher is a lifelong hunter and competition shooter and a state certified concealed carry instructor. Mike Keleher spends entirely too much time and money each year shooting national level 3-gun matches (rifle, pistol, shotgun) as well as shooting pistols in the World Police and Fire Games, USPSA Production Nationals, Single Stack 1911 National Championships, Glock GSSF matches, Pistol Caliber Carbine national level matches and a number of local and regional matches. Books by Mike Keleher are available via lulu.com, amazon.com, barnesandnoble.com and digital e-book versions are available via lulu.com, amazon.com, nook.com and kindle.com. Mike advises his paper format books are generally cheaper via lulu.com, but for those with Amazon Prime, the free shipping provision often makes that outlet a better bargain. Mike Keleher is available for contact via mjkeleher@yahoo.com. Mike is also a prolific writer of firearms and self-defense related magazine and blog articles which can be viewed free of charge at www.Gunssavelife.com. The first Concealed Carry book to combine learning to live in a heightened state of awareness along with movement in the critical moments leading up to deadly force encounters to increase survivability. Chapters cover Action Plans for immediate implementation if a legally concealed firearm carrier finds themselves at the center or periphery of a self-defense scenario. 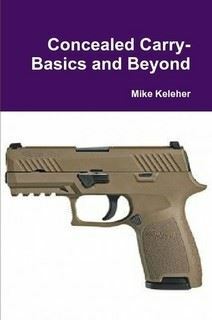 Chapters also cover topics to include Active Shooters, the Reasonableness Standard applied to deadly force, Gunfight Aftermath, Dealing with Law Enforcement, Handgun stopping power, Guns, Ammunition, Holsters and Concealment Clothing for young and old and combat level marksmanship and reloading techniques. Paperback-280 pages. Paper copy $18.00, digital copy $5.00. 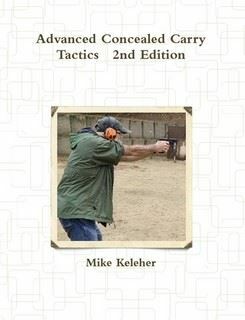 This book was written to help shooters who are new to Concealed Carry, and contains chapters on all aspects of self-defense, living in a heightened state of awareness, dealing with law enforcement, gunfighter tactics and selection of guns, calibers, holsters, belts and suitable clothing for successful Concealed Carry. Paperback-218 pages. Paper copy $15.00, digital copy $5.00. 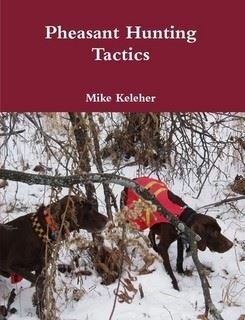 The first book on pheasant hunting that combines strategy and tactics gleaned from a life time of hunting, competition shooting and law enforcement training. Beginners and experienced hunters can both benefit from the pro-active mindset being sought and the tactics set forth for more successful hunting as well as advice on dogs, guns and gear. Paperback-131 pages. Paper copy $14.00, digital copy $5.00.